Guide for Cell Phone Signal Booster Buyers. As far as communication technology is considered then it all depends on signals which are getting transmitted from one end to other. Question arises is that if these signal get week or lose their strength while traveling then how much communication via devices like cell phones can be possible. Fact is that we are facing low signal problem in daily life and this problem has demanded urgent action. Due to all this a device called cell phone signal booster was introduced first by weboost, this device is made to boost the low signal strength to highest level possible. Most of these boosters use to have three basic elements which are Outdoor Antenna, Indoor Antenna and Boosting Unit. There are some models like Weboost Cradle booster which has only two unit, in such devices the indoor antenna and boosting unit has been combined as one unit, it is seen that such devices attracts less customers then normal cell phone boosters. What is capability of a cell phone booster? There are lots of questions on working and success rate of cell phone booster, my favorite question is what a capability of a cell phone booster is. In regards with frequency and range, every cell phone booster has it’s own frequency to work on and area to serve. 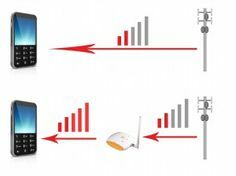 But one thing which is common in every signal booster is that it boost low signal strength, it do not make signal of its own. Yes, cell phone signal booster cannot give birth to new signals and can boost the signal strength. So, if there is minimum signal strength available then only cell phone booster can work. Coverage area of cell phone booster is the area which it will cover with the boosted signals. It is obvious that higher end models do cover more area but for customers it is necessary to choose booster according to their need. 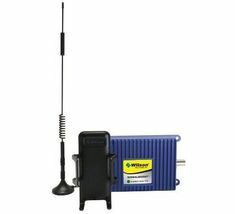 In general case, where there is no hard obstacles for signal to travel throughout area, in that case customer can depend on the area range written on box of cell phone booster. But if the area which is needed to covered has lot of obstacles then it is advised to go for one level up booster, customer can always contact support at cell phone booster store for help. While installing outdoor antenna, it is very necessary to signal strength inspection and this should be done carefully. First of all it has to be noted that what the maximum strength of the signal is outside or on the roof of building, mark that place. This should be the place where outdoor antenna has to be installed, if the signal strength is quite good at that place then customer can go with the booster which has frequency referred to his demand. But in case where the signal strength is quite low even outside building then customer should go for higher end model. Customer can inspect the signal strength with any cell phone. Costumer has to take his cell phone to every place on roof where an outdoor antenna can be installed and look on the signal bars on cell phone screen. The place where cell phone signal maximum bars should be the place where outdoor antenna should be installed. Which Outdoor Antenna to Choose? Famously there are only two types of outdoor antenna available which are very successful. First is Yagi Antennas and second is Omni- Directional Antennas. If customer wants to boost the signal coming from multiple service providers and wants to spread it in multiple directions the he should go for Omni-Directional Antenna. This has to be noted here that Omni-Directional works perfectly under good signal coverage. 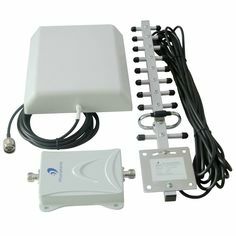 If the place where outdoor antenna has to installed receives good signal strength then only Omni-Directional Antenna will work perfectly there. But in case where the signal tower is too far and there is no need of boosting signals of multiple providers then in that case Yagi Antenna is the best option. Please note that Yagi antenna works in single direction and works for signals from only one provider at a time. The unit by which signal power use to be calculated is dBs and it is called decibels. Decibel is an logarithmic unit to calculate the power of signal strength. It is believed that if the booster increases signal strength to 3dBs then it is actually boost the strength to almost double. For customers who are getting very low signal strength around their place, it is advised to get higher end models to proper signal strength. Dome and panel antennas are two kinds of antennas to choose from as inside antenna. Both of these antennas are good for separate proposes and both works in different manners. If the area to be covered is multi floor building or rectangle spaces or long building then Panel Antennas are best option. These antennas has to be mounted on upside down direction so that it can broadcast down throughout multiple floors, for more installation help on panel antennas go to online cell phone booster store. In other case where is area needed to be covered is single floor or hall then the best indoor antenna is Dome Antenna. It has to installed on the ceiling facing downwards so that it can cover all needed area equally. All three units if cell phone signal booster gets attached to each other via cable and customer should select cable carefully and should use it low as it can be. It is belied that Ultra Low Loss LMR 400 cables is the best cable but this cable also loses 2dB signal strength if the length extends 50ft. Some customers use to install cell phone booster with standard RG6 Coax Cable which is similar to cable television which should be avoided because this cable can make you lose 5db strength at 50ft. So, it is advised to customers to use less cable. 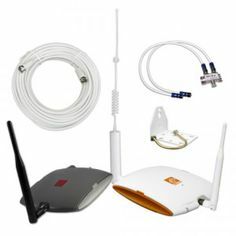 Previous Previous post: What is Cell Phone Signal Booster for home or office? Next Next post: Announcement of improved cell phone signal booster from weBoost for the people going on vacations.